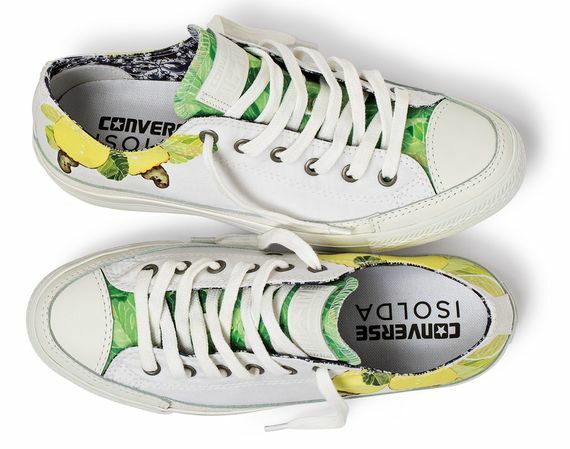 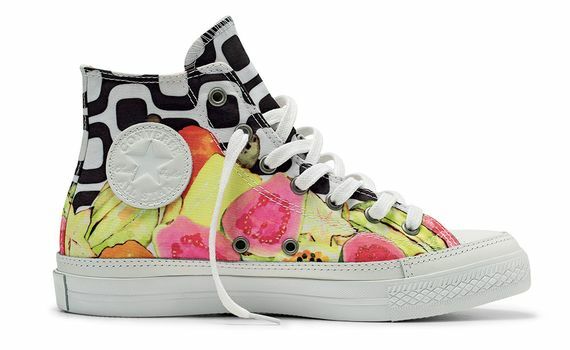 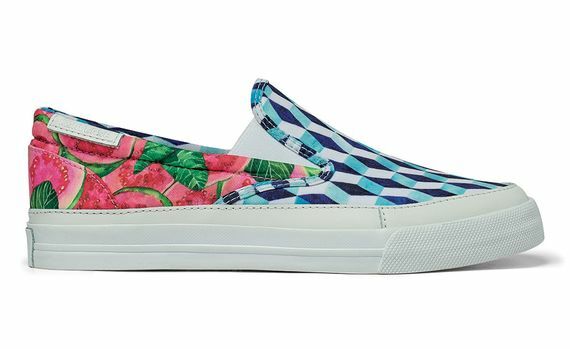 Today Converse Inc. announces the launch of the Converse Isolda Sneaker Collection, a brand new footwear range that celebrates Brazil’s vibrant culture through a series of bold and colorful prints. 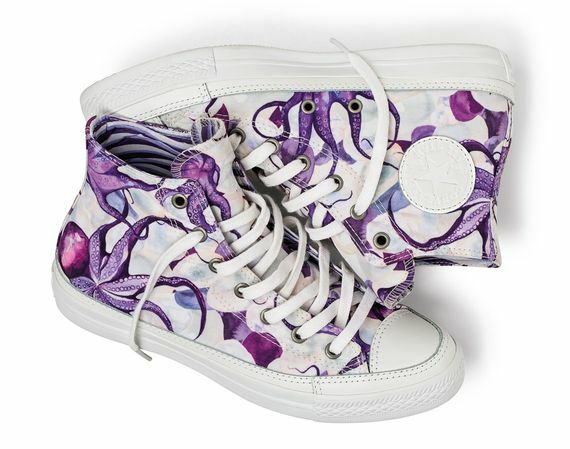 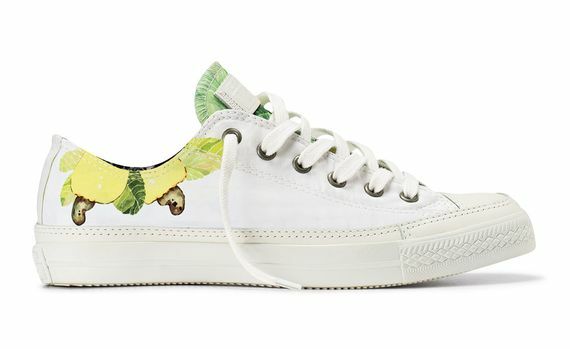 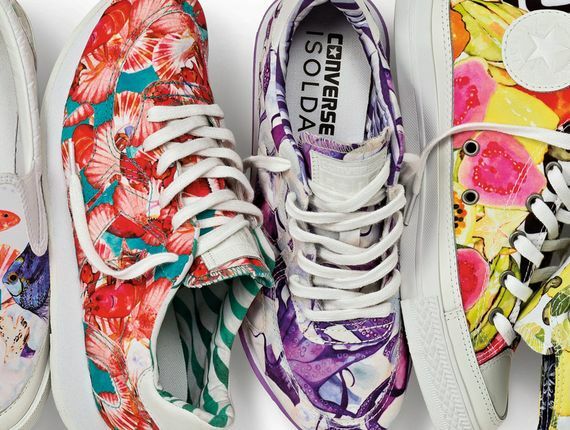 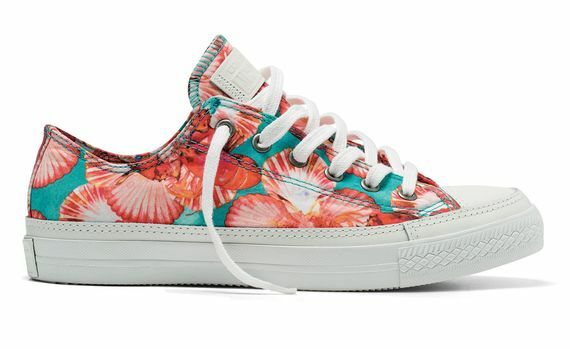 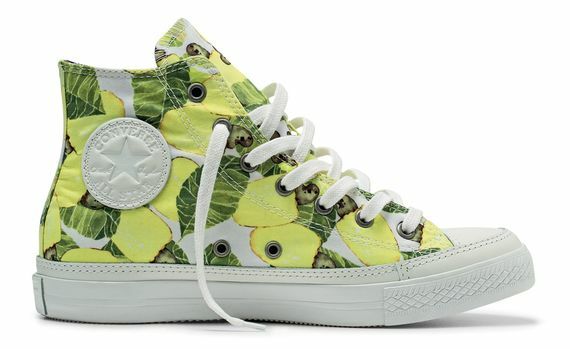 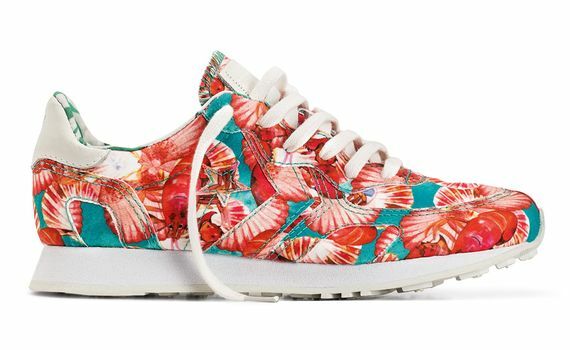 This first-time collaboration between Converse and the Brazilian fashion brand Isolda brings together a bold palette of watercolors and exotic hues brought to life on a series of iconic sneaker silhouettes from the Converse archive. 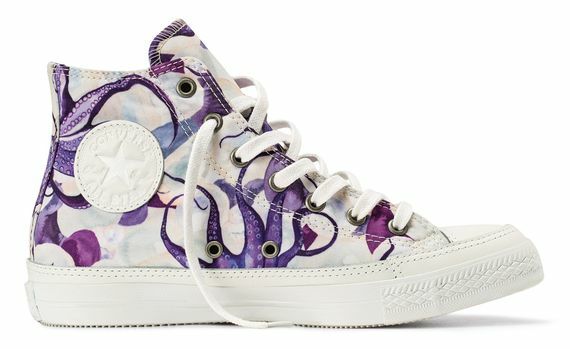 Available exclusively in Brazil, the Converse Isolda Sneaker Collection features a total of nine different prints rendered on three of the brand’s most iconic silhouettes – the Converse Chuck Taylor, the Converse CONS Auckland Racer and the Converse CONS Skidgrip. 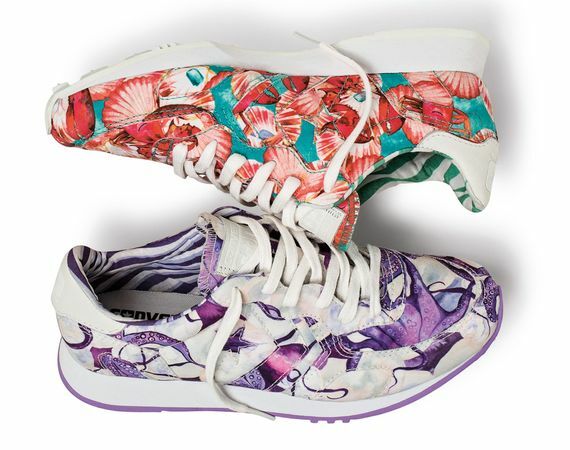 Inspired by iconic elements from Brazil’s tropical climate and culture, the collection features a series of bright watercolors featuring cashews, guavas, “tutti frutti” and gemstones prints, along with playful renditions of lobsters and octopus. 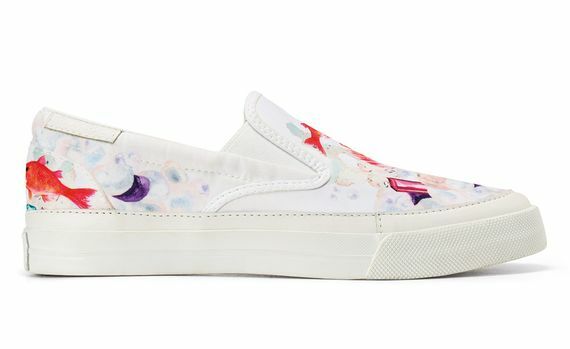 The sneakers also feature an all-over printed canvas upper and lining, an all-white rand, and premium white leather logo detailing. 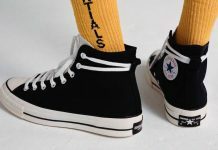 Following an exclusive launch during Fashion Rio on Friday, November 8, the Converse Isolda Sneaker Collection will be available for sale in limited quantities at select retailers including Dona Coisa (Rio De Janeiro) and Cartell 001 (Sao Paulo) starting Tuesday, November 12. 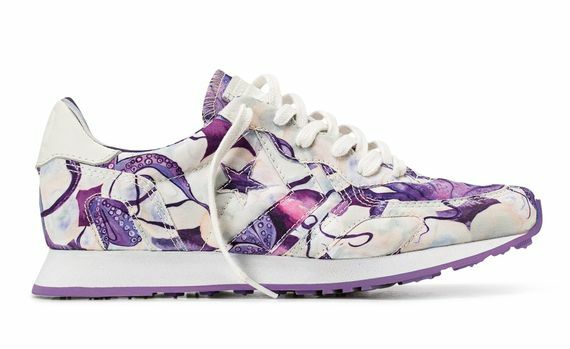 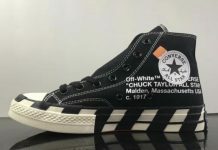 The premium sneakers are availalble in unisex sizing 4 – 12, with prices ranging from $110 to $130.